From book selling on the street to a brick and mortar store, this bookstore knows how to curate the best-used collection running from fiction to non-fiction and all that fits between. A small store, they stack books high and have staff that has read it all, or so it seems. The dollar rack outside is quite amazing as well. On St. Marks, but in Prospect Heights, not Manhattan, Unnameable books are a host of new and used books, as well as literary events. An important store to the community, and to book lovers alike, Unnameable is a must on any New York bookstore list. Holed up in Manhattan proper, 192 Books holds author readings frequently, as well as children’s storytime every Wednesday at 11 am. Though only open since 2003, 192 Books has a timeless feel to it, and with the cozy interior and a great selection of both indie and mainstream picks, browsing the shelves can take some time, as you want to be careful not to miss any titles. Like many other NYC bookstores, Book Court is host to many literary events (even a boxing event! ), and journal releases, and provides a wonderful space for readings and new release events. Another cozy spot, the walls are lined with well-curated collections, that can span from bestsellers to rare poetry. With a few different store locations, the one on the Upper West Side is the go-to spot for many readers. 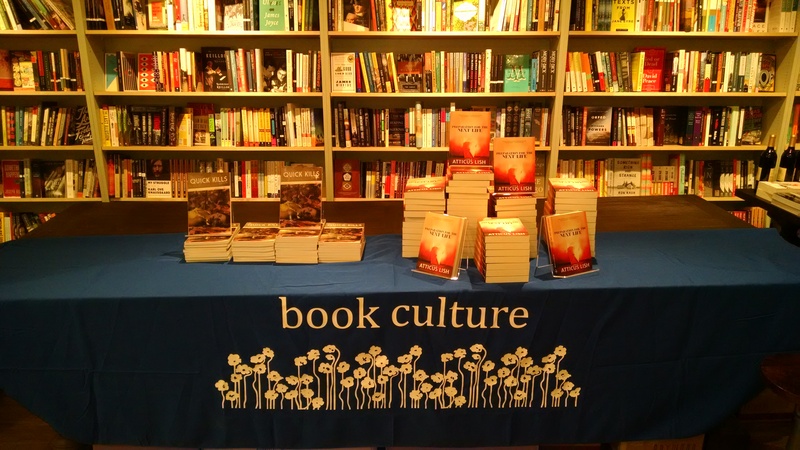 Near Columbia’s college campus, Book Culture has that cool intellectual vibe. For those in school, the textbooks are held upstairs, alongside school gear if you are looking to restock your Moleskine, or get a new book/tote bag. McNally Jackson is another NYC institution in independent books, as the collection they have is geared towards serious readers, with vast interests. Which is not to say they forego the classics, as much as they focus on bringing to light books that they feel should be read more. In addition to the bookstore, they have a cafe which is great for spending time reading the books you purchase. Along with Book Thug Nation, Housing Works Bookstore is the best-used bookstore there is. Not only do they have the best prices in NYC, but they have a cafe inside (a rarity in NYC) and all of the proceeds go towards their non-profit work with the homeless and people affected by AIDS. If you are lucky, you might be able to catch one of their literary events, such as The Moth. One can spend hours here, so carve some time out. Famous for its “18 Miles of Books” slogan, The Strand is filled wall to wall with an amazing collection of new and used books. It would be hard to come to The Strand without needing to limit yourself to a certain number of books to buy. In addition to the main collection, the rare book room and the rows and rows of dollar books outside make this an all day affair! Which bookstore is your favorite in NYC? Is one missing from the list, or are one of these your favorites? Previous articleDoes J.K. Rowling Have A Brand New Book On The Way?